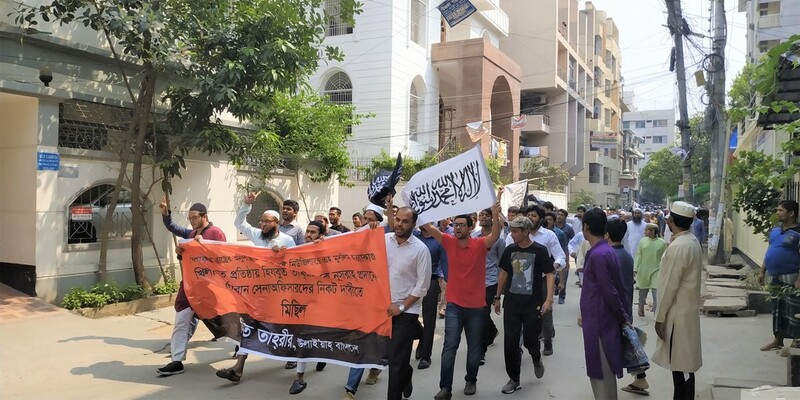 Today, on Friday (22/03/2019), Hizb ut Tahrir in Wilayah Bangladesh organized demonstration to march after Jummah prayer at various mosques in the cities of Dhaka, Chittagong and Sylhet protesting the brutal killing of Muslims in New Zealand and demanding from the sincere officers in the military to give Nusrah to Hizb ut Tahrir for the reestablishment of the Khilafah (Caliphate). 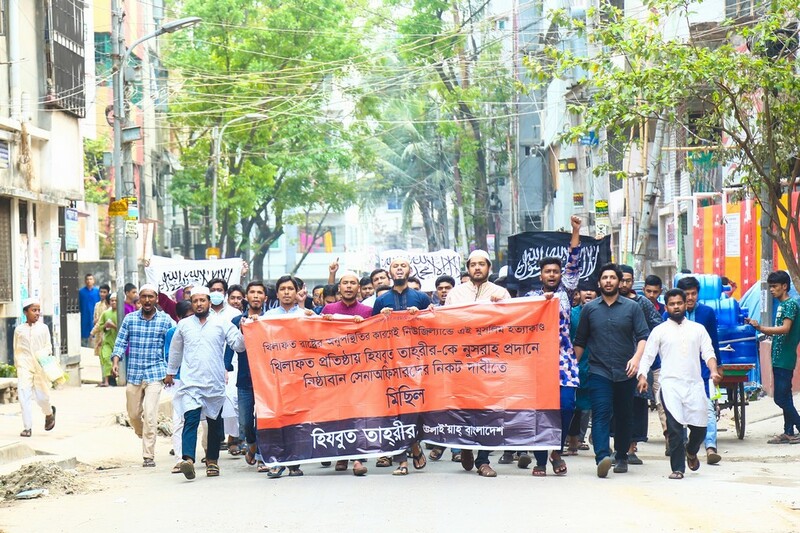 With the participation of the prayer-goers, these demonstrations ended after marching at various roads of the cities. O Muslims! This atrocious crime on the prostrating Muslims is not an isolated incident, but rather is the direct result of decades of ‘hate and animosity’ against the Muslims by the colonial West and their rotten media under the pretext of “War on Terror” (actually Crusade against Islam); this was clearly visible in the 74-page manifesto of this murderer calling on others to follow his example to terrorize Muslims by killing them without any mercy or discrimination between children, women and the elderly…his high-powered weapon was decorated with references of centuries-old crusader conflicts with the mighty Khilafah (Caliphate)…Clearly this killing indicated that the centuries-long crusader hatred has been reignited in the West in full fury, extending to all its regions. Certainly, the absence of the Khilafah is the reason that this brutal killing in New Zealand could happen. Because of its absence today, the Muslims lands are under relentless aggression by the Kafir West. 98 years ago, in this very month of Rajab (on 28th Rajab 1342 AH, corresponding to 3rd March 1924) the imperialist Britain with collaboration of its agent Mustafa Kamal Pasha destroyed the shield of Muslim Ummah, the Khilafah, which was a leading state on the face of the Earth for nearly 1400 years. The Kafir imperialists then divided our lands into many nation states and brought the subservient agent rulers into power. The Kafir Imperialists have continued aggression on the Muslim lands and brutal oppression on the Muslims worldwide. Today, there is no safety or security for the Muslims in their own land or aboard. O Muslims, in this month of Rajab, we Hizb ut Tahrir, want to remind you again that, in the face of this relentless crusade by the Kafir West and their agent rulers, the need for the Khilafah – the shield of Muslim Ummah – is more necessary than at any other time before. Only the Khilafah will protect the Muslim Ummah from the aggression of the Kafir imperialists, and will emerge as a strong and leading state on the face of this Earth by unifying the Muslims and their armies. This is the path that Allah (swt) gave us to follow to preserve the blood, honor and wealth of Muslims and to instill fear in the hearts of our enemies so that no one dares to harm Islam and the Muslims. O Muslims! 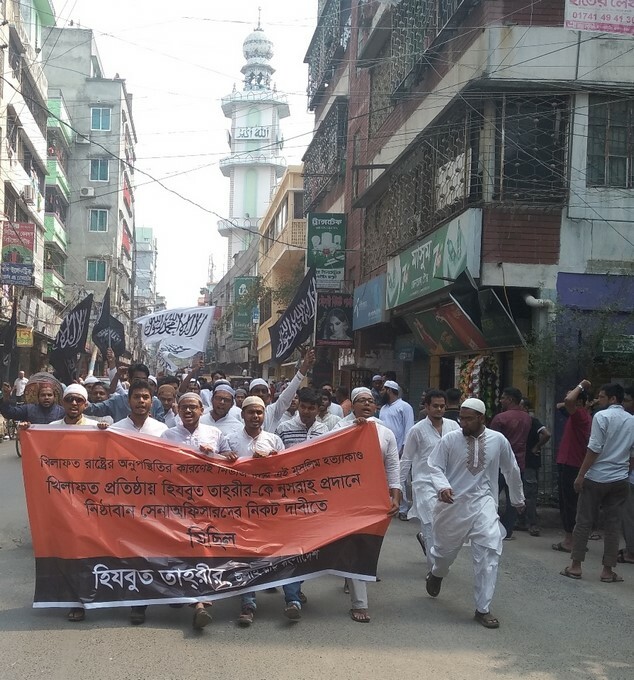 Demand from the sincere officers in the military to immediately remove this current agent regime and give nusrah (material support) to Hizb ut Tahrir for the reestablishing the Khilafah Rashidah (rightly guided Caliphate) on the method of prophethood. Previous PostHow will the Khilafah protect Islam and the Islamic Ummah?